The Swedish Massage is a soothing and relaxing style providing a steady and rhythmic session that will truly relax your mind and body. This is the most common style used by most massage therapists. 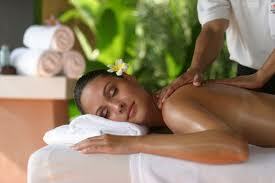 Swedish massage promotes relaxation and eases muscle tension. It can be applied with slow or vigorous long strokes with light to firm pressure depending on your preference. The term "Swedish" massage is actually only recognized in English or Dutch speaking countries. Elsewhere the style is referred to as "classic massage".